Well, we arrived safely in Canada and have been here for just under two weeks. It is so beautiful at this time of the year (we normally come in Winter so it's a lovely change for us), everything is so lush and green and pretty flowers are everywhere - both in gardens and growing wildly. I've never seen so many vivid colours and pretty flowers in such abundance. Coming from an Australian coastal environment, it's a refreshing change for us and a bit of a novelty. I can't stop taking photos of flowers - my husband thinks I've become quite the botanist! We are also very lucky to have a great walking trail behind our cottage. It is heaven. Both for walking, cycling and for looking at pretty wild flowers. I was going to go and pick a whole bunch of different flowers and arrange them in a vase for this month's Floral Friday "In a Vase" theme but I will save those for another day. 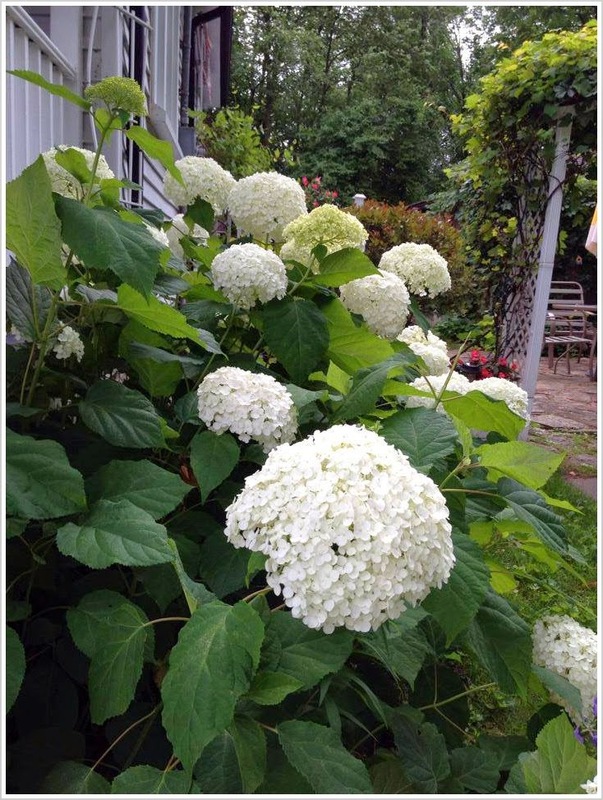 This month's hero has to be my Mother-in-Law's hydrangeas. They are the most impressive hydrangeas I've ever seen and are huge, perfectly formed and so healthy. I have no idea of the variety but I know they are the nicest and biggest ones I've ever seen. I couldn't resist showing them off. What do you think? 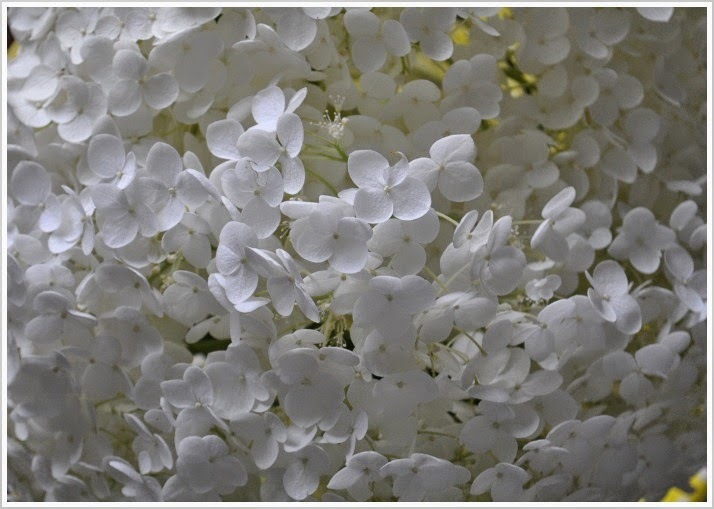 Have you ever seen such heavenly hydrangeas? 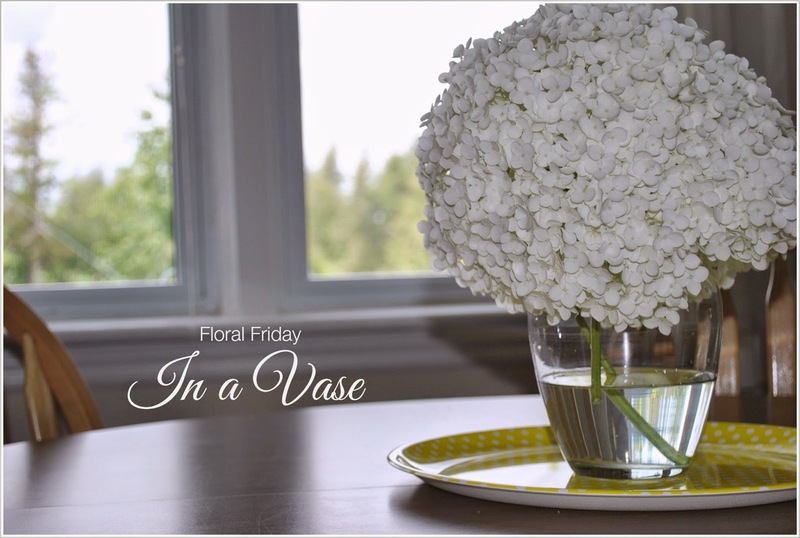 There are quite a few other bloggers joining Under Lock & Key's Floral Friday challenge so please do take a moment to check out the links below to see what the other lovely bloggers in this series have to say about their floral arrangements. Definitely the most impressive hydrangeas I've ever seen!! Oh, they are wonderful, yes! Sounds like a lovely vacation! wow! just lovely hydrangeas i ever did see. and the vase you chose looks just right. Your heavenly hydrangeas are like huge, silky snowballs in summer; perfect for your usually winter visit to my beloved country of birth! 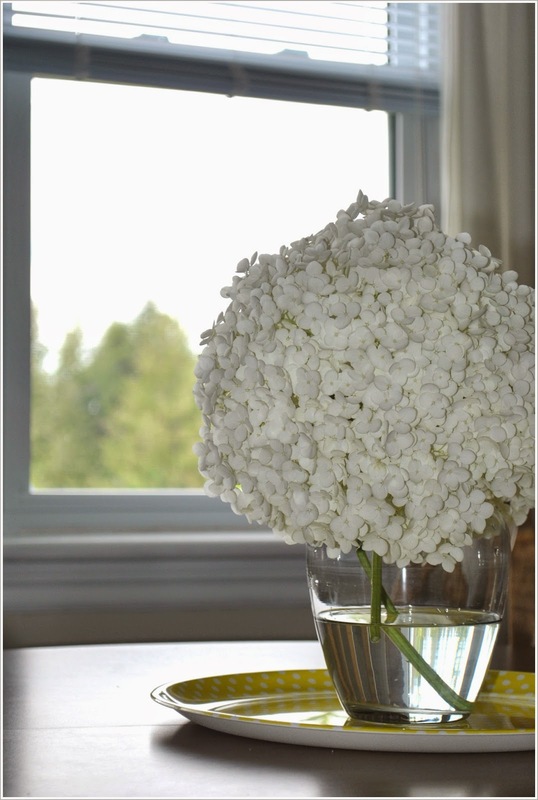 The hydrangeas are so very pretty and such a lovely show in the garden and the vase. Must be beautiful going on walks and seeing all the wonderful flowers. 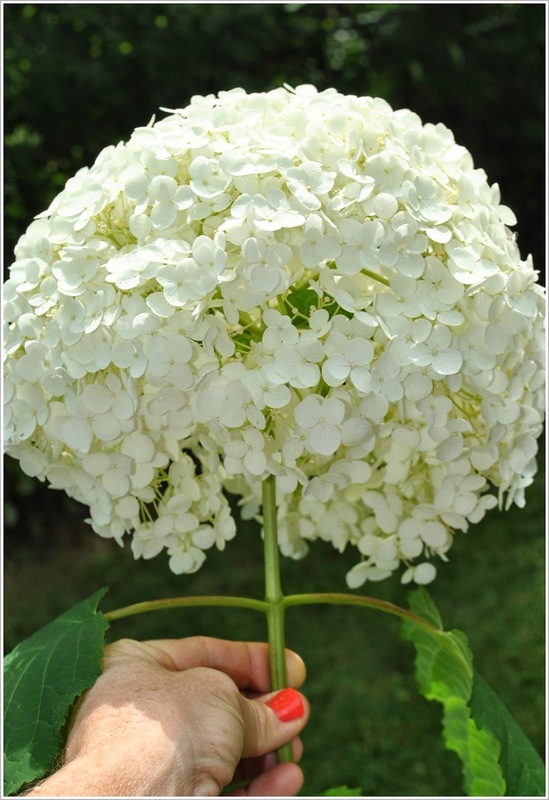 It is the perfect white mop head hydrangea! They are the most wonderful flowers to cut for vases. Wow - this white ball is so pretty! Those hydrangeas are perfectly beautiful. It is very huge!